Energy and Natural Resources is a major practice area for Leroy şi Asociaţii. We provide a full spectrum of legal services to major companies and investors in the energy and natural resources sector, with regard to transaction as well as regulatory matters. Leroy şi Asociaţii has been involved in some of the most prominent privatizations in the energy sector in Romania, taking pride on providing strategic guidance and advice to leading market players. Our energy and natural resources team is able to deliver a broad range of commercially focused, timely and innovative legal solutions. Our team has been involved in some of the most complex industry transactions, negotiating and advising participants on production enhancement services agreements, joint operating agreements, well services agreements, trading and distribution of oil, gas and refined products. We have advised on the acquisition of major Romanian players in the gas, energy production and distribution sectors. We have advised on a wide range of regulatory matters in the gas, electricity and thermal energy sectors, such as licensing, price regulation, unbundling, environmental matters, competition, legal regime of infrastructure and public procurement. 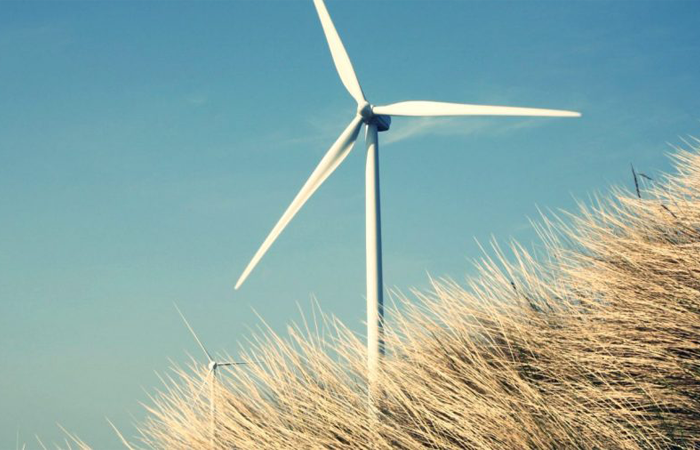 We have experience in all aspects of development, permitting, financing and acquisition of renewable energy projects and we have advised and represented project developers, project lenders, equipment manufacturers and construction firms, as well as acquirers and sellers of renewable energy projects. Advising a leading German gas company, part of one of the world’s largest utilities group, on all stages of the acquisition of a Romanian national gas supply and distribution company, covering the entire north part of the country. Advising a leading Spanish energy company during proceedings for the contemplated acquisition of the Romanian power company in charge of electricity distribution and supply for several southern counties, including Bucharest. This was one of the largest privatisation operations that ever took place in the Romanian electricity sector. Assisting two important companies involved in the supply and distribution of natural gas in several court cases of a complex and highly technical nature, aimed at the recovery of significant damages resulted from the regulatory authority’s failure to fulfil its legal obligations concerning the setting of regulated prices and tariffs. Advising an international company specialising in resources optimization, operations restructuring and production enhancement techniques in relation to a broad range of day-to-day sector-specific legal matters related to their performance under the PEC they have been awarded by the largest oil and gas company in South-Eastern Europe. Advising an international company specialising in resources optimization, operations restructuring and production enhancement techniques in relation to the negotiation of the assignment of several petroleum fields to other oil companies (including in connection with sensitive regulatory matters in the relationship with the National Agency for Mineral Resources). Advising an important player in the upstream oil & gas sector in relation to the public procurement procedures organised by the largest oil & gas producer in the SEE for the award of a production enhancement services agreement. Advising a leading American group in the oil & gas sector in connection with setting up a joint venture with one of the two major players on the upstream oil & gas market in Romania. Assisting an international energy company in carrying out the mandatory legal, functional and management unbundling process of its natural gas supply and distribution activities (in compliance with Romanian and European regulations governing the opening of the national gas markets), the first such unbundling operation successfully finalised in Romania. Advising a major group involved in the large scale production and supply of electricity over Romanian and European regulatory matters, in connection with the sale of electricity and green certificates on their respective centralised markets. Advising an international utilities company on the contemplated acquisition of a local provider of energy solutions involved in several projects in the field of cogeneration of electrical and thermal energy. Advising a leading energy company active on the electricity balancing market in relation to an alleged noncompliance with applicable regulatory obligations, as well as providing innovative legal and regulatory advice as regards a contemplated expansion of its activity. Advising a major natural gas supplier in relation to its gas acquisition contracts, regarding the applicable regulatory framework. Advising a major electricity and natural gas supplier in the context of drafting its natural gas supply agreements, applicable to large and small customers. Advising a leading energy group on preparing its position paper with regard to the Romanian government’s project of establishing two “national champions” in the Romanian electricity generation sector. Advising an international real estate developer in its endeavours to become the supplier and operator of the power distribution network for the users located within a large shopping centre in Bucharest, in connection with complex legal matters related to the regulatory framework regarding the distribution and supply of electricity.